Welcome to the 700th issue of DistroWatch Weekly! Sometimes it feels good to put aside the bright lights and smooth buttons of a graphical desktop environment and dig into the lower levels of an operating system. Much of the power of modern Linux and BSD systems comes from the underlying tools, the command line and its utilities. This week we explore some lower level features and some more technical environments, beginning with a look at RaspBSD, a special build of FreeBSD for the Raspberry Pi computer. We also talk about various command line tricks to make life easier in our Tips and Tricks column. The subject of command line use and how much time our readers spend typing commands is the subject of this week's opinion poll. Plus, in our News section, we discuss Debian replacing the Icedove e-mail application with Thunderbird, GParted working with LUKS encrypted volumes and Fedora's software licensing guidelines. We also discuss new features in Linux Mint, FreeBSD's Quarterly Status Report and challenges DragonFlyBSD is facing while upgrading their ports tree. We are also happy to share last week's releases and we provide a list of the torrents we are seeding. And we are pleased to welcome the OSGeo-Live distribution to our database. We wish you all a superb week and happy reading! Listen to the Podcast edition of this week's DistroWatch Weekly in OGG (52MB) and MP3 (33MB) formats. RaspBSD is a FreeBSD-based project which strives to create a custom build of FreeBSD for single board and hobbyist computers. RaspBSD takes a recent snapshot of FreeBSD and adds on additional components, such as the LXDE desktop and a few graphical applications. The RaspBSD project currently has live images for Raspberry Pi devices, the Banana Pi, Pine64 and BeagleBone Black & Green computers. I decided to give the RaspBSD operating system a try on my Raspberry Pi 2 computer. The download images vary a good deal in size, for example the Raspberry Pi B download is 267MB while my compressed Raspberry Pi 2 image was a 746MB download. Once the compressed file was downloaded, I unpacked it and the result was a 2384MB (2.3GB) image file I could write to my SD card. Inserting the card into my Pi booted the RaspBSD operating system which, for all practical purposes, is FreeBSD 12.0-CURRENT. When the operating system finishes booting, we can sign into the Pi over secure shell using the account name raspberry and the password raspberry. There is a root account on the system which is, by default, not protected by a password. However, the root account cannot be accessed remotely. Signing into the Pi gives us a command line interface and the login message provides links to FreeBSD's documentation and helpful resources. Running RaspBSD on an 8GB SD card provided me with a fairly standard FreeBSD installation on a 7GB root partition. Of that 7GB, 1.9GB of space is used by the base operating system, utilities and the LXDE desktop. This leaves us with 4.5GB of free space, once reserved space is taken into account. RaspBSD does not set up swap space for us. The default RaspBSD system is quite minimal, running a mere 16 processes when I was logged in. In the background the operating system runs cron, OpenSSH, syslog and the powerd power management service. Other than the user's shell and terminals, nothing else is running. This means RaspBSD uses little memory, requiring just 16MB of active memory and 31MB of wired or kernel memory. One of the first things I did with RaspBSD was to see if I could attach a ZFS volume I had stored on an external drive. RaspBSD ships with ZFS modules enabled by default and this allowed me to import my external drive's ZFS pool as RaspBSD's root user. From there, I was able to check the ZFS pool's status, look at snapshots and copy files to and from the external drive. With my 2TB storage pool attached to the system, RaspBSD used about an extra 25MB of memory (16MB active, 56MB wired). About a year and a half ago I experimented with FreeBSD on my Raspberry Pi and had to compile my own ZFS kernel modules. I also ran into a series of stability issues when transferring files between the root UFS partition and external ZFS partition. I was pleased to find ZFS is now included by default and the stability issues I encountered previously have been resolved. Should we wish to add extra software to our copy of RaspBSD, we can use the pkg command line package manager. RaspBSD connects to the FreeBSD's software repositories and this gives us access to several thousand pre-compiled packages. We can then upgrade existing packages or install new software. I found unpacking and installing new software happened slowly and any effort to access files on the SD card while pkg was working took a long time. The week I was running RaspBSD, I downloaded 51 upgraded packages, totalling 114MB in size. On the subject of software updates, I checked to see if I could update the core operating system using FreeBSD's freebsd-update utility. The freebsd-update program was unable to find a server with the files it needed, which means binary software updates are probably not available for RaspBSD's core operating system. The RaspBSD does not included FreeBSD's source code in the root file system, probably in an effort to save space on small SD cards. We could download the code and build or patch our operating system from source, but this is likely to be a long and tedious process. Disk access on RaspBSD was quite slow and accessing the disk tended to be a severe bottleneck when performing tasks. Earlier I mentioned RaspBSD ships with the LXDE graphical environment and a small collection of desktop applications. The operating system does provide these tools, though during my trial I was focused entirely on using the RaspBSD operating system remotely over secure shell. I did try running a handful of desktop applications remotely via OpenSSH's X11 forwarding capability. This worked and I was able to remotely run desktop applications on RaspBSD, though performance was somewhat sluggish. I made note of a few practical differences between running RaspBSD on the Pi verses my usual Raspbian operating system. One minor difference is RaspBSD turns off the Pi's external power light after booting. Raspbian leaves the light on. This means it looks like the Pi is off when it is running RaspBSD, but it also saves a little electricity. When running the shutdown -r command on RaspBSD to restart the computer, the Pi would power off and not come back on-line. If I ran reboot though the Pi would restart as expected. On the subject of rebooting, I noticed that RaspBSD would not automatically re-mount my external ZFS volume when the system booted. I could add a start-up command to handle this, but it is something FreeBSD (on x86 servers) and Raspbian both do automatically. Apart from these little differences, running RaspBSD on the Pi was a very similar experience to running Raspbian and my time with the operating system was pleasantly trouble-free. Long-term, I think applying source updates to the base system might be tedious and SD disk operations were slow. However, the Pi usually is not utilized for its speed, but rather its low cost and low-energy usage. For people who are looking for a small home server or very minimal desktop box, RaspBSD running on the Pi should be suitable. I am definitely pleased to see ZFS support improved in recent builds of FreeBSD/RaspBSD and I like that RaspBSD users have access to FreeBSD's massive collection of pre-built binary packages. This should make setting up a Pi with a FreeBSD-powered web server or NAS much more appealing than it was a year ago. For some time now the Debian distribution has shipped a re-branded version of the Mozilla Thunderbird e-mail application, called Icedove. The Icedove package contained no trademarks of the Mozilla organization and could be patched or modified as Debian's developers wished. However, times change and Debian is planning to return to packaging the Thunderbird application and will be phasing out Icedove. Christoph Goehre writes: "Hi Debian Developers and followers. Thunderbird is back in Debian! We also renamed other related packages to use official names, e.g. iceowl-extension -> lightning. For now, we need testers to catch existing issues and things we haven't seen until now. What happens the first time you start Thunderbird? With the change to the official Mozilla branding the user's profile will also be changing from '$HOME/.icedove' to '$HOME/.thunderbird' so we need to migrate the profile folder." Details on the transition and things which still need to be tested can be found in this mailing list post. Fans of LUKS encrypted file systems received some good news this week. The GParted partitioning management software (commonly used through GParted Live) now supports working with LUKS encrypted volumes as of version 0.28.0. "This release adds partial read-write support for LUKS encrypted file systems. GParted can't create, open or close LUKS encryption volumes; however it can copy, resize and manipulate file systems inside open LUKS volumes and move closed LUKS volumes. (Resizing requires Linux kernel >= 3.6 and libparted >= 3.2 for online partition resizing)." The GParted project included a reminder that people who use these features should first create backups of any important files as manipulating partitions and volumes can result in data loss. The Fedora distribution has one of the more strict licensing requirements in the Linux community. The project attempts to ship only free software on its installation media and provides only free software in its software repositories, with a few rare exceptions such as binary firmware. There are good reasons for this and Tom Callaway has laid them all out in a talk, covered by LWN. Callaway presented the history of Red Hat Linux and Fedora, some of the legal concerns Red Hat has faced and efforts to simplify the licensing guidelines for the distribution. "Licensing was the next problem. Red Hat Linux used to have a "contrib" repository, where people put all sorts of stuff that had been built against Red Hat Linux so that it could be more widely used. When Fedora opened up, busy volunteers took nearly everything in contrib and threw it into Fedora. Unfortunately, much of this effort happened with no particular concern for licenses. There was a "license" field in the database of packages, but instead of "GPLv3" or "MIT", it often said things like "distributable", or in one memorable case, simply "ok". Callaway went through Fedora and found over 350 different licenses, including 16 BSD variants and 34 MIT variants (there were still more of those, but he stopped counting at 34)." The LWN article is an interesting read and covers some of the legal and practical concerns surrounding distributing open source software. The Linux Mint team has been hard at work recently, preparing updated media for both the project's main editions (which are based on Ubuntu) and Linux Mint Debian Edition. Some of the features Mint users can expect to see include better Bluetooth support and Bluetooth file transfers through the Blueberry utility. "OBEX file transfers are now supported out of the box, so you can send files very easily over Bluetooth to your computer from any remote device. An option was added also so you can change the Bluetooth name of your computer. That name usually defaults to your hostname or to mint-0 and many people don't know how to change it via the command line. Last but not least, in addition to its cross-desktop system tray, Blueberry now provides a Cinnamon applet which uses symbolic icons and looks similar to other status applets, such as the power, sound or network applets. When this applet is present, the tray icon is hidden." Mint's Xed text editor is gaining the ability to sort lines of text as well as quickly change the size of text in the editor. Mint's Xplayer video player is also getting some new features, including a more compact interface and short-cut keys for handing subtitles and language support. Further details can be found in this Mint Monthly News post. Following some of the changes being worked on by the FreeBSD team to improve video driver support, including importing video drivers from Linux, the DragonFlyBSD team is now playing catch-up with the many changes happening in the FreeBSD ports tree. Rimvydas Jasinskas explains: As some of you are aware there were some recent developments regarding the DragonFly ports collection and FreeBSD-ports in general. Huge graphics stack update (including but not limited to dri, gbm, libdrm, libEGL, libGL, clang39, xorg-server and its drivers) was just pushed without giving us a any heads up to prepare for it or perform an early testing. This came as a surprise since last time we were notified about upcoming developments that allowed us could construct, patch and test the new stack. This is how RadeonSI card support was added to Xorg for the Radeon owners to enjoy running their desktop machines with accelerated graphics. We pushed ours and later FreeBSD pushed theirs since we have a different level of GPU support in kernel DRM drivers yet we share the same ports tree. However, this time it was not the case and we are trying to understand what has happened. We are aware that there is huge ongoing effort to finally import the DRM 4.9 GPU drivers from Linux using linux-kpi emulator layer allowing to copy/paste Linux drivers almost without modifications including the OFED. We understand this is quite an achievement that FreeBSD users will finally be able to run their desktop machines without a need to buy expensive NVIDIA cards and use binary blobs." The post goes on to explore some of the challenges the DragonFlyBSD ports team is facing as they try to test the new changes before releasing DragonFlyBSD 4.8. Part of what makes Linux a flexible and powerful system is the wide range of command line tools. This week I would like to cover some useful tips and address questions I have received concerning the Linux command line. First, I want to address a question I received that asked how a person can go about changing which command line shell they are using. The shell is the process which interprets your commands and runs programs. Most Linux distributions default to using the bash shell, but there are several others. Different shells use different syntax and some have handy features to make navigating the file system or running commands easier. Additional shells may be available in your distribution's software repositories. Performing a search for the term "shell" in your package manager should provide you with a list of alternative command line shells. Please note that I provided the full directory path to the new shell. When we change our shell we should always provide its full path, as specified in the /etc/shells file. The acpi command will show you whether your battery is charging or discharging, the percentage of the charge remaining and an estimate of how long your battery will continue to run your laptop. The acpi command can be made to show additional information. The above command will not only display battery charge information, but also the temperature of the CPU and other information acpi can gather from your computer's sensors. You may notice multiple addresses being displayed. Usually, you will see one address which is listed as 127.0.0.1 or as ::1. These addresses are special values which your computer can use as a quick way to reference itself. A connection to the address 127.0.0.1 simply accesses services on your own computer. The other address you see is how other computers and devices on the same network can identify you. Sooner or later we all run into misbehaving desktop applications which lock-up or refuse to close. Some desktop environments will handle situations like this for us, offering to terminate applications which are no longer responding. Other desktop environments are less proactive and leave us to deal with the problem program ourselves. There are a few ways to handle a desktop application which is not responding. On most desktop Linux systems we can run the xkill program. The xkill program, when run, turns the mouse cursor into an X and the next window we click on gets immediately terminated. The only problem with this approach is pkill could find multiple programs with the name and shut them all down. To avoid this interrupting your work, I recommend saving anything you have open in similarly named programs before running the pkill command. These tips, along with other tutorials, can be found in our Tips and Tricks archive. Sven Dowideit has announced the release of RancherOS 0.8.0, an updated build of the project's minimalist Linux distribution designed for running Docker containers: "RancherOS release - version 0.8.0. Linux 4.9.9 (amd64), Linux 4.4.43 hypriot-v7+ (Raspberry Pi), Docker 1.12.6 default, Docker 1.13.0 available for testing. Note: due to the change from Ubuntu kernels to mainline stable Linux kernels, the Xfce console is currently not supported, and upgrading systems that use that console will probably break. New features: RancherOS now uses an unmodified current mainline Linux kernel 4.9; cloud-init now runs before most system services, allowing it to be used to customize or replace services; image name validation for service, console and engine commands; completely new installation code - replaces GRUB with Syslinux (including upgrade; you can now boot from the ISO image without a net connection and the install will run using the installer image...." Here is the full release announcement with a list of new features and bug fixes. ReactOS is an open source operating system which seeks to be binary compatible with Microsoft Windows, capable of running Windows applications. The project's latest release, ReactOS 0.4.4, introduces printing support and offers several visual improvements and graphical fixes. "Today marks the fifth release of the ReactOS 0.4.x series, as well as the fifth following the 4 month release cycle started by 0.4.0 itself. Progress has continued steadily, with a great deal of work going on in the background to improve ReactOS' general usability and stability. Many of these improvements were on display at the FOSDEM convention in Brussels that took place on the 4th and 5th of this month. Certainly one of the more notable albeit less visible additions was the incorporation of basic printing support by Colin Finck. At present ReactOS is only capable of sending print commands to a parallel port printer, but this is the first step towards universal support and Colin should be applauded for his effort." Further details and screen shots can be found in the project's release announcement. ReactOS is available in two editions, the first provides an installation disc while the second offers a live desktop environment. 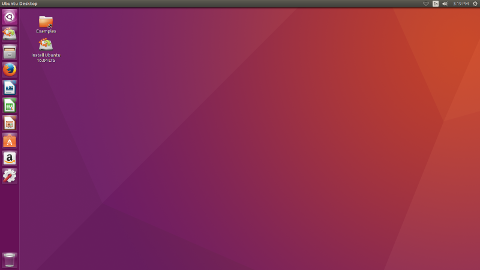 The second maintenance update of the Ubuntu 16.04 LTS (long-term support) release is now ready for download: "The Ubuntu team is pleased to announce the release of Ubuntu 16.04.2 LTS for its Desktop, Server and Cloud products, as well as other flavours of Ubuntu with long-term support. Like previous LTS series, 16.04.2 includes hardware enablement stacks for use on newer hardware." The above comes from the release announcement published by Adam Conrad. The change summary page offers a detailed description of all the bug fixes since Ubuntu 16.04.1. As usual, updated images for Kubuntu, Xubuntu, Mythbuntu, Ubuntu GNOME, Lubuntu, Ubuntu Kylin, Ubuntu MATE and Ubuntu Studio are also provided. Curtis Gedak has announced the availability of a new version of the GParted Live Linux distribution. GParted Live provides users with a Debian-based live CD with which to manipulate, rescue and rescue disk partitions from within a graphical user interface. The latest version, GParted Live 0.28.1-1, features version 4.9.6 of the Linux kernel and offers the ability to work with LUKS encrypted file systems. "The GParted team is pleased to announce another stable release of GParted Live. This release includes GParted 0.28.1, patches for libparted for FAT file system operations, and other improvements. This release includes partial read-write support for LUKS encrypted file systems. GParted can't create, open or close LUKS encryption volumes; however it can copy, resize and manipulate file systems inside open LUKS volumes and move closed LUKS volumes. (Resizing requires Linux kernel >= 3.6 and libparted >= 3.2 for online partition resizing)." Further details can be found in the project's release announcement. Many of us, who have either been using Linux for a long time or used command line driven systems (such as DOS) previously, tend to grow comfortable with typing commands. Some of us keep a virtual terminal open at all times because quickly switching to it to fire off a command can be faster than opening a new window to deal with a situation in a graphical interface. This week we would like to find out approximately how much of your time do you spend using a virtual terminal. Are you typing commands all day, perhaps a few times a day, or do you prefer to use graphical applications exclusively? You can see the results of our previous poll on archive formats here. All previous poll results can be found in our poll archives. 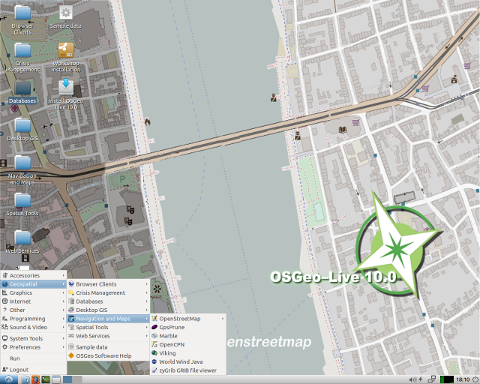 OSGeo-Live is a bootable DVD, USB thumb drive or Virtual Machine based on Lubuntu, that allows the user to try a wide variety of open source geospatial software without installing anything. It is composed entirely of free software, allowing it to be freely distributed, duplicated and passed around. OSGeo-Live provides pre-configured applications for a range of geospatial use cases, including storage, publishing, viewing, analysis and manipulation of data. It also contains sample datasets and documentation. 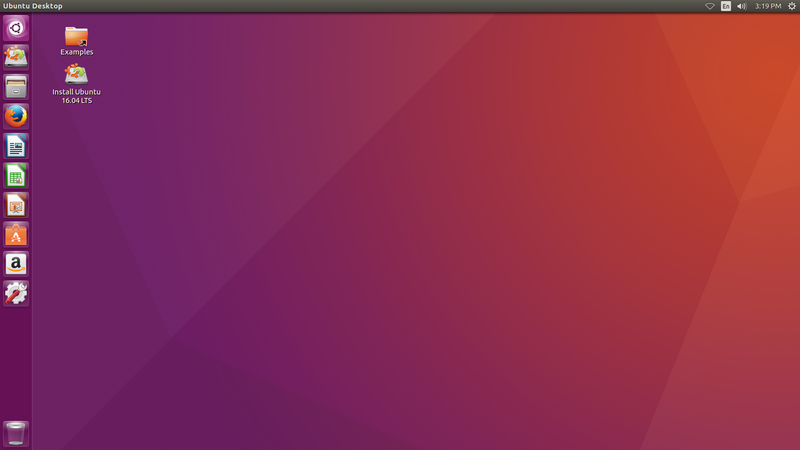 Emmi Linux. Emmi Linux is a Brazilian Linux distribution based on openSUSE Leap. The distribution is available in Xfce, LXQt and MATE editions. ToaruOS. ToaruOS is a hobby kernel and supporting userspace, built mostly from scratch. While not a Linux distribution, the project does provide a UNIX-like environment. It features a small collection of applications and a graphical desktop environment.